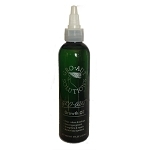 Our Gro-aut hair oil bottle has a NEW look! Eventually all products will transition into this new look as we are getting products ready for store shelves. Coming soon to a store near you!